WE’RE BACK. Elliott’s globetrotting, Stu’s evening shifts, and Dan’s almost-an-actual-writing-career couldn’t keep us off the Internetwaves for long. Will our 77th episode be an audio classic on the level of Talking Heads ’77? Only time will tell. Meanwhile, Stu tries out a new cool guy/annoying mouth sounds persona, Elliott pitches a chocolate-based Terminator sequel, and Dan keeps us up-to-date on important developments in the world of Penny meeting a dinosaur. 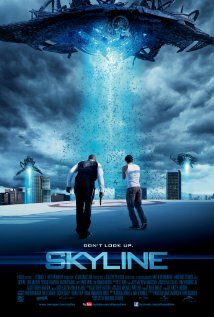 0:34 – 30:55 – We discuss the Battle: Los Angeles prequel, Skyline. Wait, what? It’s not a prequel? 30:56 – 34:20 – Final judgments. 53:06 – 56:27 – The sad bastards recommend. 56:28 – 57:26 – Plugs, goodbyes, theme, and outtakes. Thanks! We always appreciate getting the word out.